You are here: Home / Sewing / Let’s DO this! Oh my goodness! 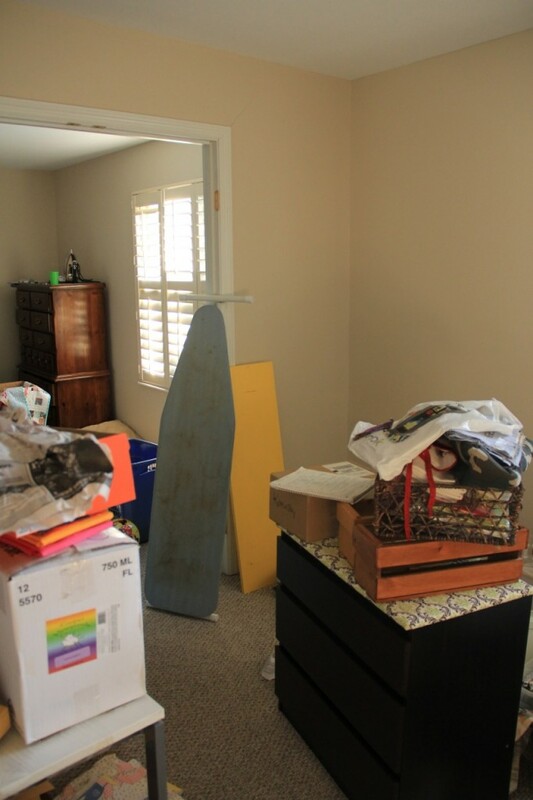 I can’t believe that I posted my Sewing Room Clean-Up Along: Before post so long ago. My delusions are so much more ambitious than my reality. In that post, I suggested we clean up our sewing spaces together and then share our nice, tidy spaces two weeks later. That “later” was a month ago. I really should recover that ironing board, though. There’s no improvement there! I’m really looking forward to seeing where you sew, too. http://sewingbymoonlight.com/wp-content/uploads/2014/03/header-edit3-1030x286.jpg 0 0 sewingbymoonlight http://sewingbymoonlight.com/wp-content/uploads/2014/03/header-edit3-1030x286.jpg sewingbymoonlight2013-10-02 10:24:232013-10-02 10:24:23Let's DO this! Good Luck with the clean-up! I’m afraid to take photos of my studio, because I know that it’s not going to get much better any time soon. I’m looking forward to it… I have yet to make a dent in mine from the last time but you’ve made it at least put it back in my mind!